You are here: Home / Deals and Steals / Giveaways / Win an Amy Grant Tennessee Christmas CD! 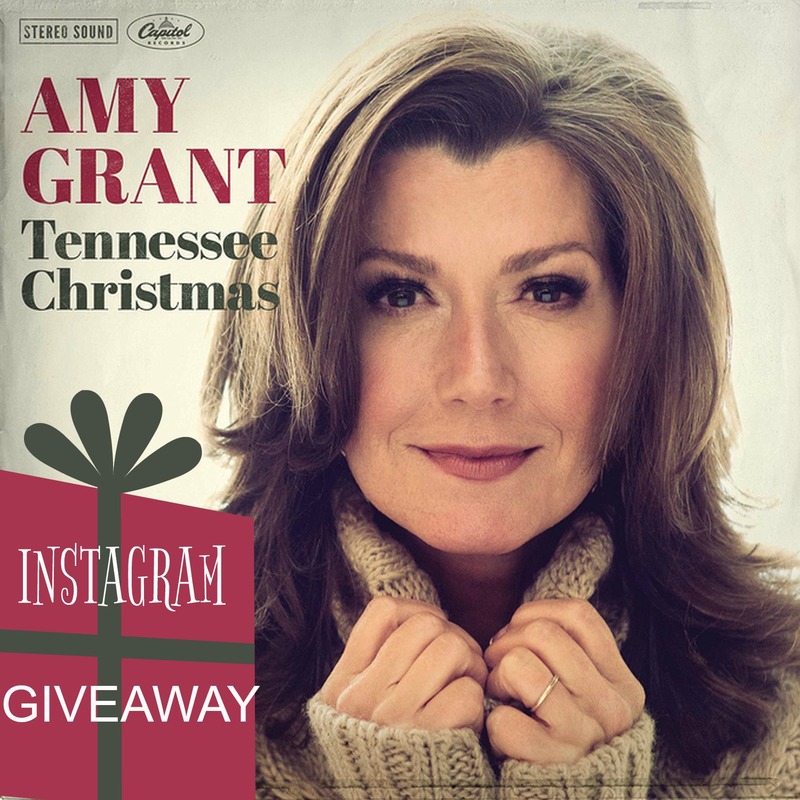 Win an Amy Grant Tennessee Christmas CD! Amy Grant is an amazing recording artist and a family favorite. Her Christmas albums always top the stack when we start playing seasonal music. Her songs play in the background during some of my favorite holiday memories; decorating the Christmas tree, making cookies, and snuggling up with beloved Christmas picture books. Her newest album, “Tennessee Christmas” has a very different feel than her previous albums. The tone and pace are serene and reflective; at times some songs seem almost melancholy. Unlike her earlier albums, which I find myself playing during family times, I find this music better suited for wrapping presents alone or unwinding after a long day of holiday prep. “I’ve Got My Love to Keep Me Warm” and “Christmas For You and Me” are my two favorites from this collection. A duet with husband, Vince Gill – “Baby, It’s Cold Outside” is also featured. head to my Instagram account and comment with your favorite Christmas Carol. The winner will be chosen by random selection from Instagram entries on December 6th. The winner will be notified via Instagram direct message. Tennessee Christmas is available for purchase at iTunes and Amazon. See a preview of “To Be Together” on Youtube! Amy Grant is asking fans to upload videos of them surprising loved ones for the holidays to her social media media channels, such as Facebook or Twitter. Be sure to use the hashtag #TNChristmasSurprise when posting and your contribution could be used in an Amy Grant video! Our Favorite First Scissors and Learning How to Cut Ace Collins’ Magic of Christmas Prize Pack Bible Journaling Kit – Giveaway Parents, Are You a Fan of “Jesus Calling?” I Have Something For You!